» The Oslo guide is available in 5 LANGUAGES: German, English, Spanish, Italian and French. 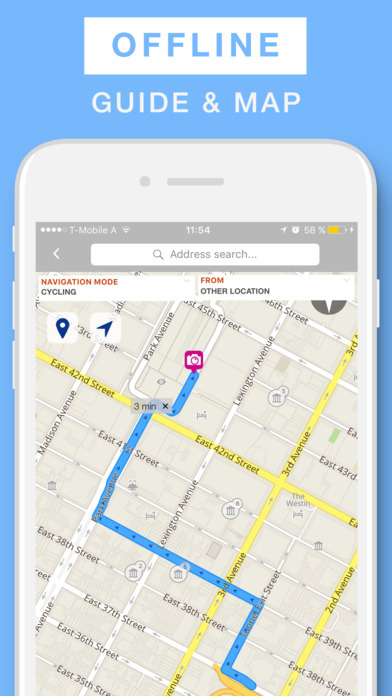 With the City Maps Oslo App you’ll find your way through the city both online and offline. Enable the subway and other public transport options on your Oslo offline map and plan the perfect city trip. You’ll of course find an overview of all the metro lines in the travel guide itself, too. 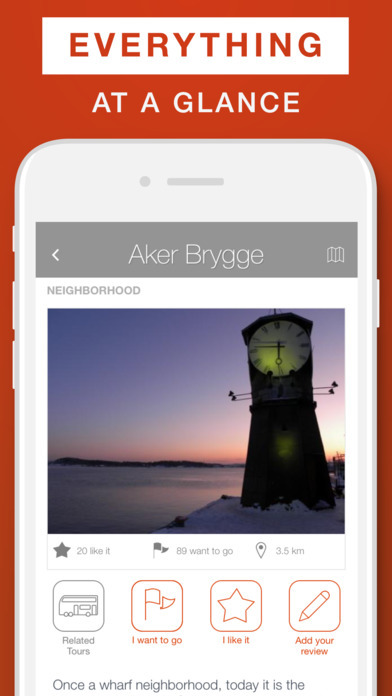 The Oslo City Guide is your personal travel buddy! 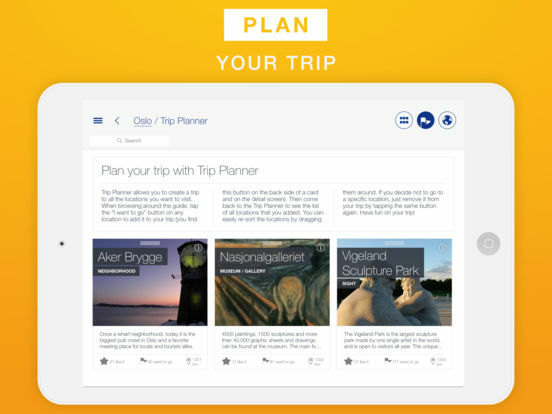 Create your own Oslo trip with the attractions, restaurants, bars, museums, hotels etc. you are most interested in and look at the map to see where they’re located. The Oslo Travel Guide contains premium content from Fodor’s Travel and MARCO POLO, hotels from booking.com as well as sightseeing tips from Yelp, Foursquare and Wikipedia. Thanks to the Oslo City Guide you won’t get lost! 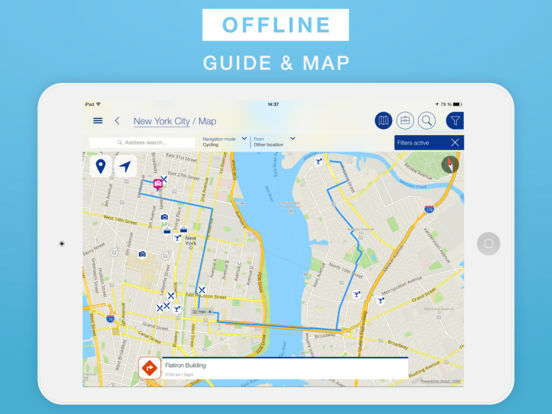 Find all addresses and places on the Oslo offline map and let it show you the way. 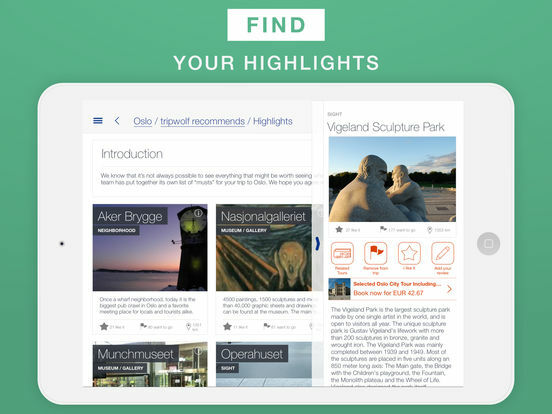 Use the whole Oslo City Guide offline and don’t let roaming costs ruin your trip! 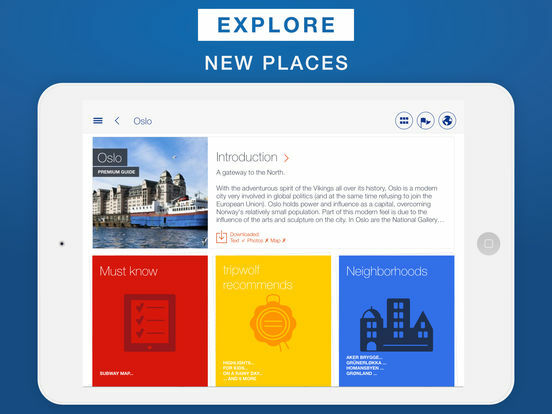 Oslo offline city maps, Oslo attractions, hotels, restaurants, clubs, museums etc. included. To book hotels, flights and tours it’s necessary to have an active internet connection. With the help of our Oslo trip planner you can create your own Oslo trip. 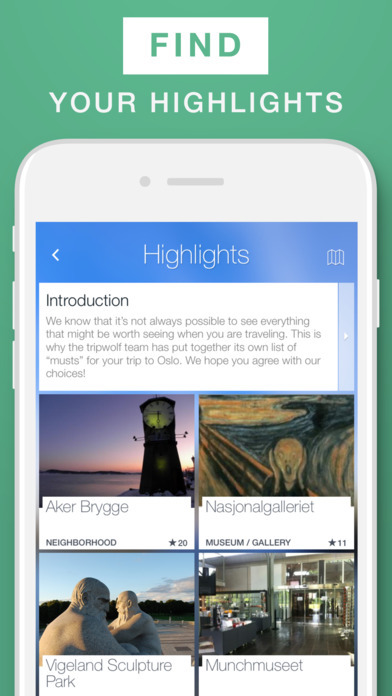 Add the most interesting attractions, restaurants, shops, hotels and museums to your Oslo guide and see them directly on your offline map. 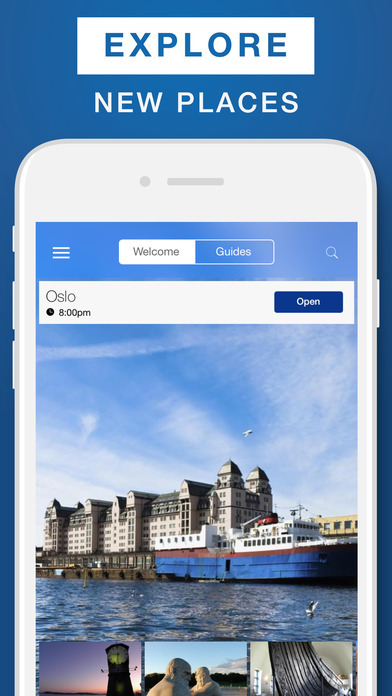 If you’d like to book your trip in the Oslo Travel Guide App on-the-go, you can find the best deals directly there! Book hotels and tour tickets for the most important attractions as well as flight tickets directly in the Oslo City Guide. Like that, you can find the best tour deals for sights such as Parliament of Norway, Vigeland installation, Akershus Fortress. The Oslo Travel Guide is available in 5 LANGUAGES: German, English, Spanish, Italian and French. The Oslo offline map is provided by OpenStreetMap and is continuously updated. The content from all other sources are being checked regularly as well as new attractions etc. are being added. You have more Norway trips planned? Check out our Norway Travel Guide to get more tips!